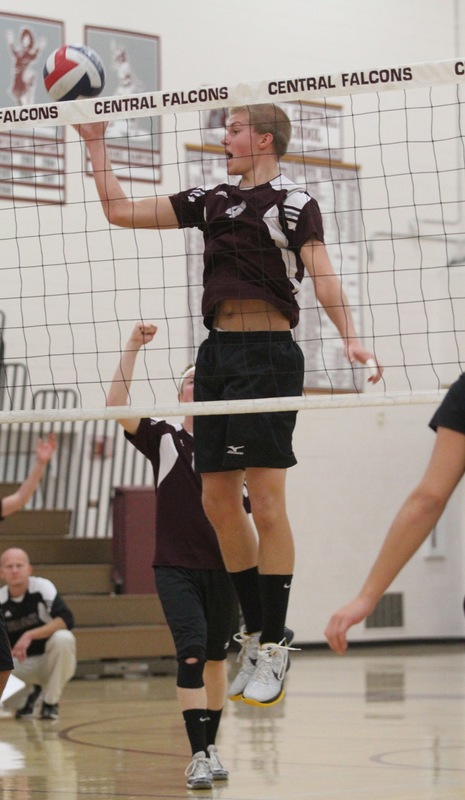 Slowly but surely, the Westosha Central boys volleyball team is starting to round into form. Central swept the pool play at Saturday’s Shorewood Invitational, but fell twice in the Gold Bracket to finish third overall. The 2-2 record bumped the Falcons to 13-9 overall. “We’re making progress,” Central coach Wayne Schultz said. “We have things to work on, and we’re getting better at those. Central opened pool play with a 25-15, 25-17 win over Wauwatosa West, followed by a 25-18, 25-21 win over Brookfield Central. The Gold Division wasn’t quite as kind for Central, as it fell 25-18, 25-22 to Shorewood, followed by a 25-16, 25-19 loss to eventual champion Appleton North. Schultz was pleased with his team’s effort in the first two matches. Statistical leaders for the day included Mike Michelau with 42 kills, 24 digs and five blocks; Regan Hess with 23 kills, eight aces and eight blocks; Caleb Mobile with 23 kills and 16 digs; Brooks Gahart with 73 assists; and Jake Stetson with 26 digs. The win came on the heels of a four-game Southeast Conference setback Sept. 29 against visiting Burlington. Burlington recorded a 25-22, 22-25, 25-21, 25-23 win to drop the Falcons to 3-2 in conference play. Michelau led the way with 25 kills and 11 digs, followed by Mobile with 15 kills and three blocks; Hess with eight kills and two aces; Gahart with 47 assists, 11 digs and three blocks; and Glenn Karsten with five blocks. Central hosted state-ranked Franklin Thursday night, followed by a home game next Monday, Oct. 10, against Racine Horlick.